Pat Quinn's Restaurant and Bar at Tsawwassen Springs offers free underground parking for up to 200 cars. Public Transit available to Highway 17 and 52nd street, Tsawwassen, BC. Please contact Translink for more information. 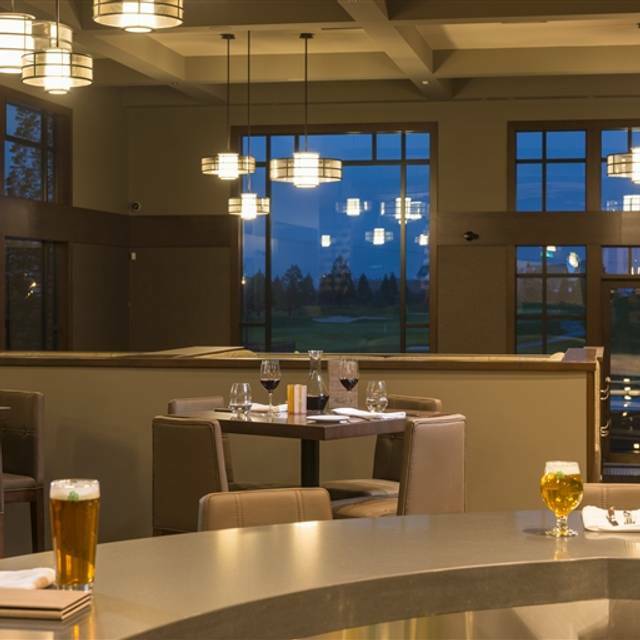 Pat Quinn's Restaurant and Bar has a partner in the Springs Ballroom at Tsawwassen Springs. Springs Ballroom is a 6500 square foot ballroom offering it's own service bar and a wrap around patio with stunning views of the 11th and 18th fairways of the Tsawwassen Springs Golf Course. Springs Ballroom can accommodate up to 500 guests. Please see our website for more information on Springs Ballroom. Private Dining in the Trophy Room is ideal for family celebrations and Tsawwassen business meetings that demand style. Only concern was that the air temperature was cold inside. Befriend later said it is always cold inside. Sever was good. He was very attentive. Steak was rather bland. Unfortunately, at rimes the noise from the pub carried through to the restaurant. Not good for discussion over a meal. Very noisy with people conversation. Tables very crowded together. Need quieter areas . Service was good & food good. Unfortunately our daughters meal came to the table with fridge cold vegetables, my veg were less than room temperature, but at least edible. All in all from arrival to leaving everything took 2 hours. We had to wait such a long time for our meal to be served and then it wasn’t very warm. Nevertheless, we still enjoyed our anniversary (64 years) and had a pleasant evening. Service was great! Lovely hostess who took photos of the group and a really good waiter who said he was new. Beautiful views and brunch food was pretty good. Mimosas were delicious! Haven’t been back there for over a year as food was not good last few times. Was pleasantly surprised so you must have a new chef. Food was excellent. 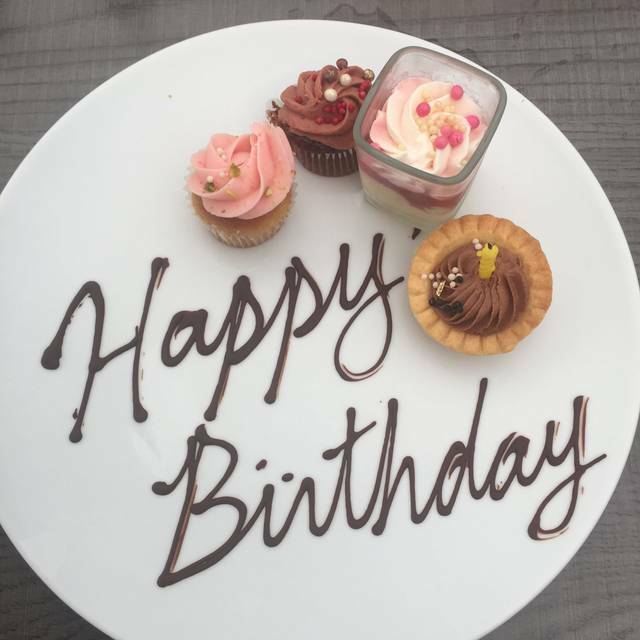 It was a friends birthday and I really appreciated the waitress bringing over a lovely plate with Happy Birthday on it and a couple of chocolate truffles. So often restaurants ignore that and come over and ask if anyone wants dessert and of course people say no. I really thought that was a classy touch so was grateful for that and it finished off a lovely experience. Great meal, superb flavour and a nice setting. Service was top notch, would go back again. It was my husband`s birthday and we had a wonderful time. Always great food and service. Nice atmosphere in the dining room or bar. We brought a friend for birthday dinner. We requested a booth and were seated in a very lovely area, as requested. The service was professional and prompt. Their date night offering menu was interesting but we three preferred selections from the main menu. Each of our party chose a seafood dish and all three were delicious and well presented. Two starters for the table, a soup and calamari, were also delicious and plentiful. A birthday dessert treat was presented to the birthday girl and we also ordered a sticky toffee pudding that will draw us back - even if it’s the only thing we order!! 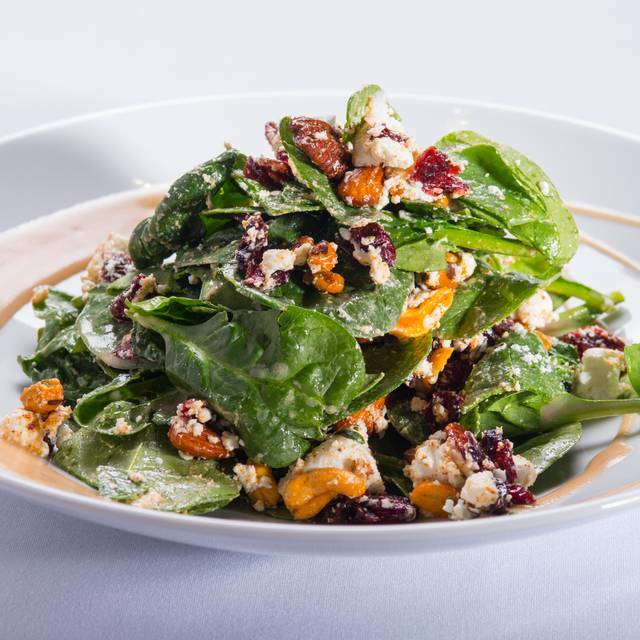 Professional service, well presented dishes and gorgeous views. We will be back. Service was exceptional. 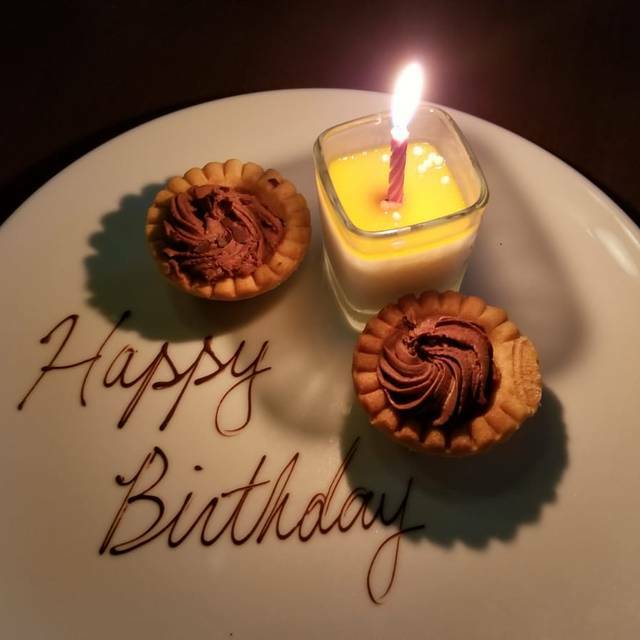 Our waitress picked up on the fact we were celebrating our adult son’s birthday and, at the end of the meal, presented him wirh a plate of tiny delicious desserts. A lit candle was in the cupcake. So thoughtful! No waiting for anything we needed and yet we did not feel rushed. Food was good As usual. Our only comment is the noise level is high. Nice evening for our 31st anniversary. Waiter was awesome - again - but veggies were a tad undercooked. Ok for carrots, but not turnips in scrumptious braised beef. Will go again soon. Will definitely be back again (and again)! I made sure I was specific in my reservation the type of seating and occasion and was asked what type of seating I wanted. It’s not a huge deal but why ask if you aren’t going to read what I wrote? We were celebrating a special occasion but again, not acknowledged because my comments weren’t read. It is the little things that make a difference! We have frequented Happy hour several times and have felt the food and wine are good value for the money. This was our first dining experience there and were disappointed in the food and the somewhat aloof service. We have dined at many restaurants of comparable price and this did not measure up. The seafood pasta was bland and oily and did not appear to be linguine. The steak while tasty and tender was served with a minute quantity of vegetables with carrots that were hard. Probably the bread and the Brussel sprouts were the tastiest items. So we likely will visit for happy hour as we do like to eat local but we will be reluctant to take our chances for dining there. Just would like to know what hostesses think when they are sitting people. We always seem to put in the worst location. She walked three miles ahead of us as we were zig zagging through the staff and then sat us at a table right in front of the stairs. So many tables were open. I just shake my head . A good luncheon experience. The service was very good. Love the setting overlooking the golf course. Food great. We went to Pat Quinn’s for a Valentine’s Day dinner. We chose the set Valentine’s Day menu. The food was great, except for the Yorkshire pudding, which was overdone, bordering on burnt and very chewy, not light and flakey as it should be. The desserts, both the mousse and the pavlova could best be described as odd. The mousse had a custard filling which tasted strange, and the pavlova was a bit too hard and way too sweet, and was a big mess of pink meringue and raspberries in an attempt to fit with the Valentine’s Day theme. The prime rib was cooked to medium rare perfection, and the mashed potatoes were delicious. The appies were fantastic- we had the Caprese salad and the Lobster bisque. The duck confit was rather tasty as well. All in all, despite the dessert and Yorkshire pudding, we would still recommend this place and would return. Pat Quinn’s has all the potential to be a great destination for the whole of greater Vancouver but I must assume there is no interest. The food was the worst I’ve had in my life - shameful! You need a serious chef with standards. The food was not hot and tastes of each dish awful. Choice of Valentine menu dessert could not have been worse. We will not return until or if you take cooking seriously and hire a real chef who will redesign your dining room and service staff. What a pity you can’t see the potential in your venue - after a day shopping at Tsawwassen Mills take in a truly special dining experience. I could have sent each course back but decided not to spoil a special Valentines dinner out. Do I have your attention because I’m certain I am not the first to critique your restaurant. What a beautiful view. The snow started up just as we sat down. We didn’t realize the Valentine’s menu options started an hour after our reservation but the staff went out of their way to make it very special. Thank you! Amazing service. We had an excellent dinner. Good server. Friendly staff. Efficient service and excellent food: green thai curry and Ahi Budda Bowl. Pat Quinns is always a nice place to share a meal with friends. I have eaten in the dining room on multiple occasions as well as the Trophy Room and now the bar area for a dinner and a Canucks game. Food, service and ambience is always top notch. My only question is has the bruschetta recipe changed? Just seemed a bit different- lots of goat cheese, not much tomato. Still tasty but before it was perfection. Definitely be back and would highly recommend. Food was tasty, well-presented, and portion sizes just right. Very noisy room so hard to hold a conversation. Biggest area for improvement is in the service - we waited too long (to be seated upon arrival and to place our wine order) when we shouldn't have and then were rushed (entrée came while still eating appetizer, finishing up wine after entrée and was asked if I wanted my dessert packed up!!) when we shouldn't have been. Could be due to inexperienced staff and/or lack of training and guidance for them. We enjoyed the food on their Dine Out menu. But it was nearly ruined by the noise level. The restaurant was loud in general, but in addition, there was an obnoxiously loud group in the lounge area that sounded like they were in the table right beside us. The restaurant is one enormous barn with no partitions or sound insulation, so it is one big echo chamber. Such a shame. Overall we enjoyed everything about the restaurant - food, service & ambience but the noise level was for a while unbearable. There were a crowd in the bar who were so loud that about 65% of the restaurant patrons left within a period of 15 mins - I understand that groups can be a little bit noisy but these people were totally over the top. Once they left (around 9:30 pm) it was very enjoyable. The food was good, staff were friendly, good value , rest rooms were clean, & adequate parking. Great food, great service, overall a great evening. Fantastic food! Delightful combinations and use of creative ingredients. The presentation was beautiful and made we want to enjoy it visually before eating it. We sat in a booth which is my favourite, which cut a lot of the noise but I imagine those sitting at tables had to talk quite loud. The food was excellent and our waitress was great-paying attention to where we were in our meal so as not to rush us. My friend and I had decided to visit Pat Quinn's for a lunch date. We were seated promptly with a view of the golf course and our drink (mimosas) orders were taken. When they arrived we had already decided what to have: Beef Au Jus for my friend and I ordered the Cobb Salad. Both arrived after a comfortable period of time. She said her meal was delicious (fries were nice...crispy and hot) and my salad was scrumptious: lots of blue cheese, tomatoes, egg and crisp bacon to mix with the greens...topped with avocado. We decided to go all out and have coffee and dessert, Creme brulee and Pomegranate cheesecake. The presentations were gorgeous and the desserts were yummy, too. Service was just right....we were left to have a great visit but were definitely not neglected. We'll go back...for dinner next time! Dine out Vancouver menu - Tortilla Soup, Lamb Shank & Cheese Cake... soup was full of tasty chunky goodness... lamb shank yummy and fell off the bone... cheese cake was the perfect ending, not too sweet.